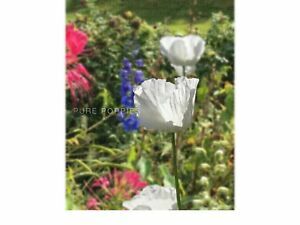 Details zu PAPAVER SOMNIFERUM "TURKISH WHITES" FASTEST GERMINATING POPPY SEED IN THE WORLD! The Cystic Fibrosis Trust is the only UK-wide charity dedicated to fighting for a life unlimited by cystic fibrosis (CF) for everyone affected by the condition. Since we started in 1964 we have dedicated ourselves to promoting excellence in research and clinical care, as well as providing practical support and advice to people with CF and their families. Our mission is to create a world where being born with CF no longer means a life-long struggle. Es sind 226 Artikel verfügbar. Bitte geben Sie eine Nummer ein, die kleiner oder gleich 226 ist.